Eandd London, Iceland and Israel "Babymoon"
3. 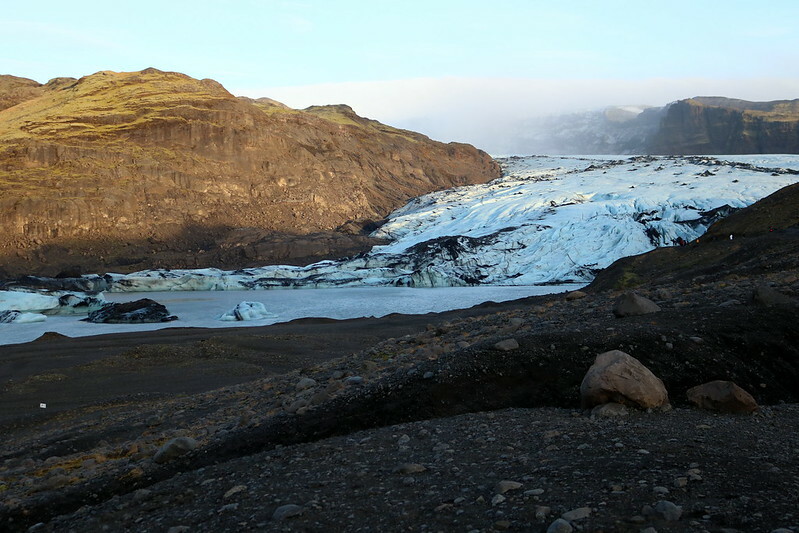 Want to give a big thanks to those on the Iceland forum for sharing their ideas and experiences! 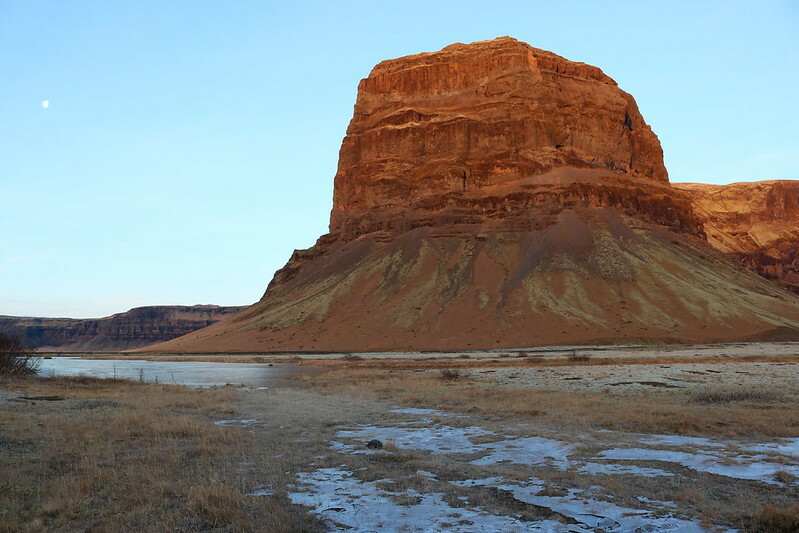 I hope this will be helpful to anyone planning a winter Iceland trip. I did a TON of research before our trip, and found a lot of negative feedback on places like tripadvisor. Granted, we must have had a lot of luck with the weather. 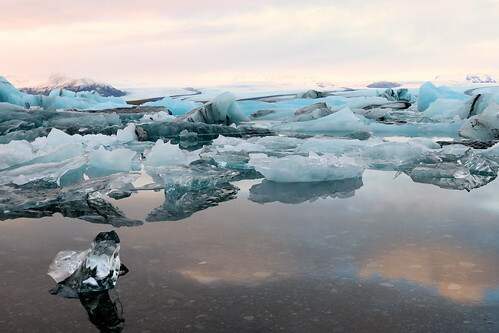 However, I am not one to want to travel to a destination twice, but would hands down be up for a repeat Iceland trip, there's so much we didn't have time to see! I hope I won't get tomatoes thrown at me for this, but I found Iceland an overall better trip than New Zealand. Wanted one more big trip before baby and challenging school programs. Had originally planned a Banff/Jasper trip which ended up being cancelled for various reasons. After our previous two crazy trips, we figured that we didn’t something a little easier, and Europe sounded like a good idea (jokes on us!) Unfortunately by the time we got our act together to settle down and book the trip, our ideal dates were a little over a month away. This would not give me much time to decide on destinations, and plan out an itinerary which is one of my favorite parts of a trip-the anticipation. 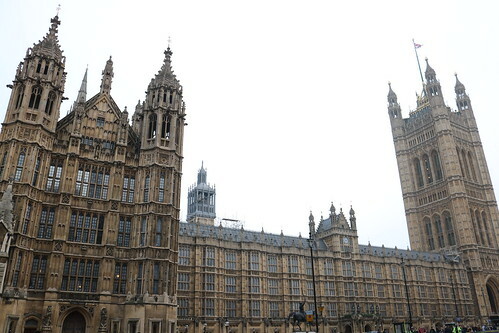 London seemed like the obvious first destination since we have family there and would have a free place to stay. At one point, I thought Switzerland, Venice, London and a day trip to Paris would be a good idea. My relatives in Switzerland nixed the idea due to unpredictable weather conditions this time of year. Then I got my heart set on visiting Israel (a lot of relatives there too), and settle on London, Israel and one more destination. It proved difficult though to decide on our third country, since I wanted to visit somewhere naturally beautiful and the timing was not good for many destinations. We went through Greece, Croatia, Hawaii by itself etc. It was proving to be very stressful, so we played with the idea of just London and Israel. I am so glad we didn’t. Randomly, the idea popped into my head to add Iceland as our third destination. And once it was there, it would not leave. 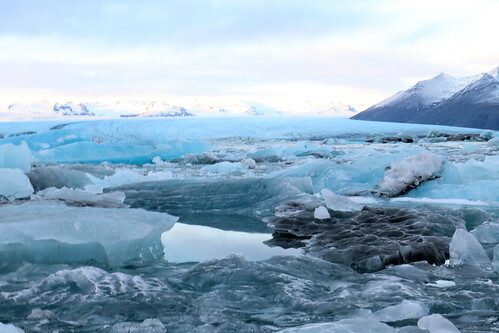 All of my research about end Nov-beginning of Dec trips to Iceland warned against dangerously icy roads, fatal car accidents, don’t drive a rental car take tours! 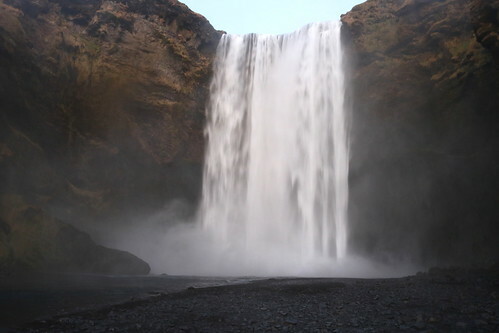 After too much reading on Tripadvisor, I turned to the Iceland master thread where I was reassured that we would be fine. Thank you to all those that provided their input! Still, I spent a lot of time agonizing over tours vs self drive (this was up until the trip!) I was nervous about our safety, but wanted the freedom to stop when I wanted. The stress of planning such a last minute trip was getting to me; our travel dates were about two weeks away and nothing was booked! We decided to push it off for a week, and finally started to commit to booking flights and informing relatives we were coming. Flights to LHR and REY were easy, the second fiasco was finding a way to get from REY to Israel. We are a bit idealistic (and probably stupid) and decided to stop in Amsterdam for the day; this was a very bad idea. Flights back to BWI were also foolishly assumed to be okay. 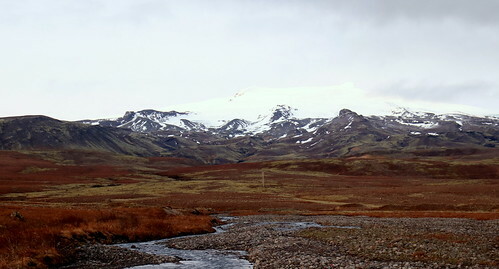 Most of the planning done for this trip was for Iceland. I extensively researched driving itineraries, rental car companies, and must sees. 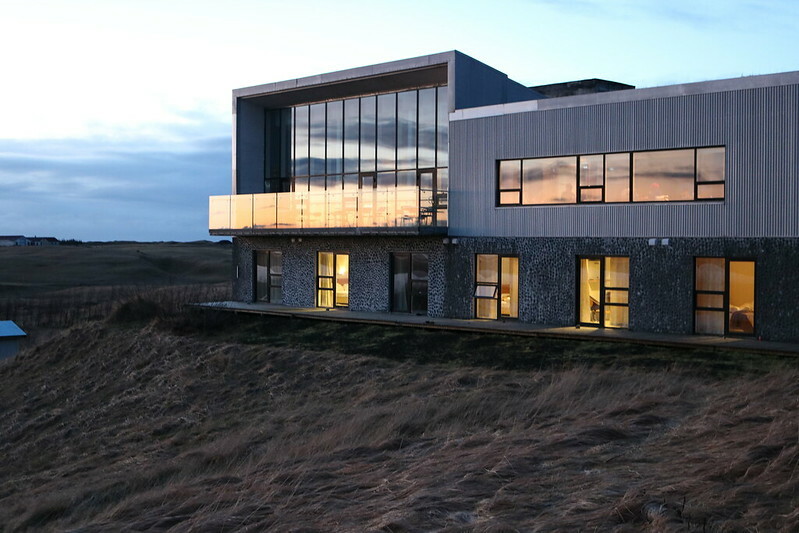 After days of deliberation, we settled on staying the first night in Vik, the second in Kirkjubæjarklaustur, and the third in Reykjavik. Hotels were booked in advance, but we waited on booking the rental car (from Blue car rental) until the night before our departure to KEF as we wanted to make sure the weather would be fine. A lot of winter gear was obsessively collected for this trip, which in hindsight was unnecessary. We each brought a waterproof winter coat, waterproof snow pants, waterproof hiking boots for my husband and snow boots for me, thermal shirt and leggings, a wool middle layer, wool socks, waterproof gloves, hats, balaclavas, and chemical hand warmers. We ended up just needing the thermals, coat and gloves for during the day. Everything else was nice for our nightly northern lights hunting, but was not absolutely necessary for the weather we were lucky to have. We also packed up a suitcase of food. We were scheduled to depart at 7:10 PM. Right before leaving home, I happened to check my email and noticed one from AA that our flight was delayed by an hour which would cause us to miss our connection in PHL. A quick call rebooked us on a non-stop British Airways flight at 8:40. Off we go to Dunkin Donuts to add to our large plane food stash since we would not be getting kosher meals. Security at BWI was an interesting experience. Being pregnant, I opted out of the body scanner (I know, negligible radiation but it adds up!) and got a VERY thorough pat down. Additionally, one of the TSA agents insisted that every single food item in our carryon needed to be taken out of the bag and placed in a bin. Flight was uneventful, and landed in LHR earlier than scheduled. LHR is known to have long slow lines in Passport Control, and today was no exception. After standing in line for a bit, I asked a random agent if there was somewhere I could sit. She said we could just use the special assistance desk, which got us through in two minutes, then breezed through customs and made our way to Hendon. 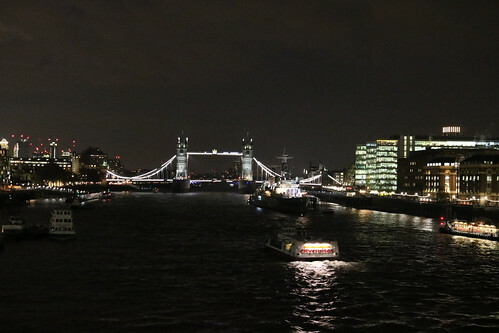 Napped for most of the day, then took the train after dark to Embankment. Took the wrong train, so instead got off at London Bridge. Walked toward the London Eye with lots of bathroom stops (theme of the trip). Saw the Tower Bridge, Globe theatre, and Big Ben under construction. 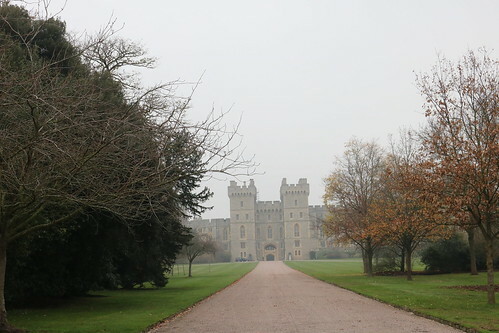 Decided on a day trip to Windsor and Eton (saved Bath and Oxford for another trip), took bus to Paddington station, and then a train to Windsor with a transfer in Slough. 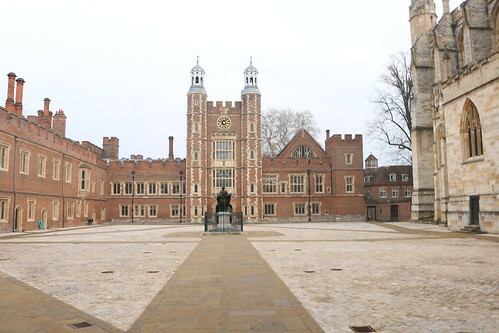 Walked around the town, then crossed over the Thames to the tiny town of Eton to see the famous boys school. Walked illegally into the school courtyard before being politely kicked out. Train back to Paddington, then waited a while for the bus to Camden town, a very touristy area with tons of cheap souvenir shopping. Then tube to Golders Green, and Pizzaza. Fries are excellent, and so was the Belgian waffle. Walked back to Hendon, bad idea after such an exhausting day. 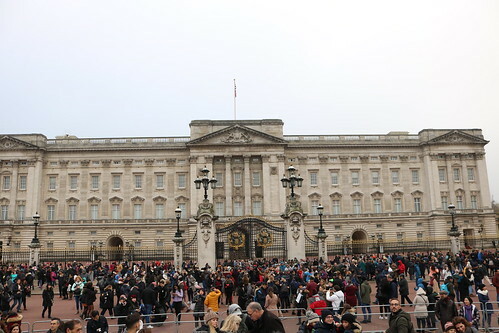 Had booked the Westminster tour by free tours by foot the night before, and needed to be by Buckingham Palace by 10. Unfortunately we were a few minutes late, and could not catch up to the tour group. 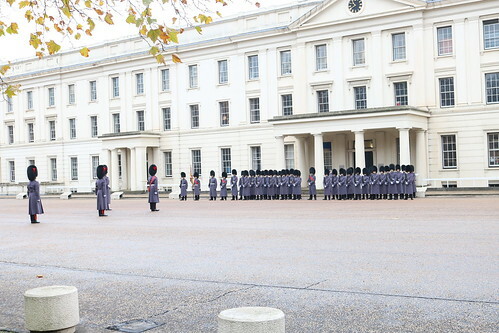 A cop recommended we go to the barracks to see the start of the changing of the guards event. 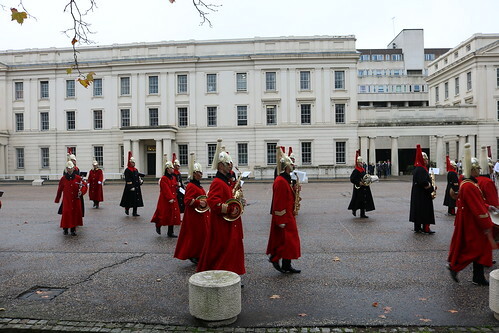 Then we “marched” along to the front of the palace, where it was CROWDED. 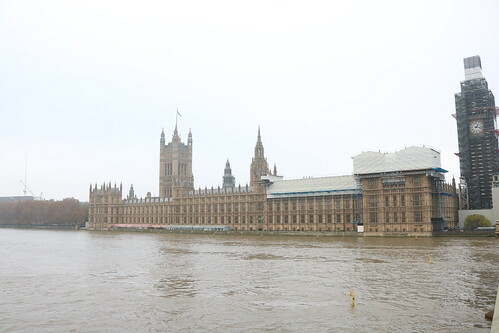 Walked towards Parliament, saw Churchill statue, Westminster Abbey, back to Buckingham Palace to get less crowded pictures. Shabbos was at 3:45! Super crowded even in winter! 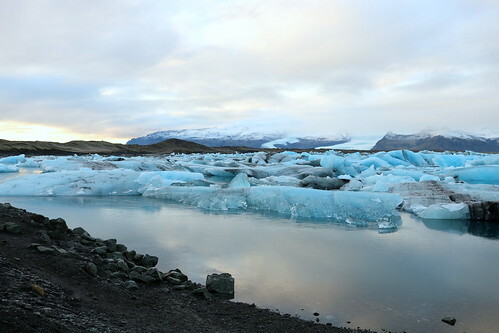 Re: Eandd London, Iceland and Israel "Babymoon"
BA flight to KEF uneventful, took short rental car shuttle to blue car rental. It's a really short walk, but it was cold outside and we weren't sure where to go. After returning the car we did just walk across the parking lot to departures. Also want to mention that I did a lot of research into rental car companies as "Scams" are very common in Iceland. We were very happy with blue car rental, but I also took out a seperate car rental insurance policy through roamright so that we would be fully covered. 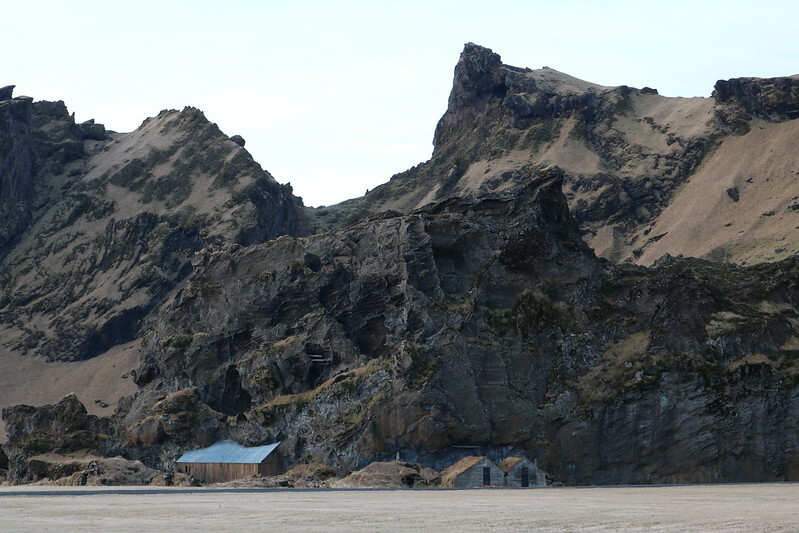 Began our drive towards Vik. Road.is had the roads as orange (spots of ice), but the asphalt seemed totally clear. Was so cool to see the volcanic fields right outside the airport! 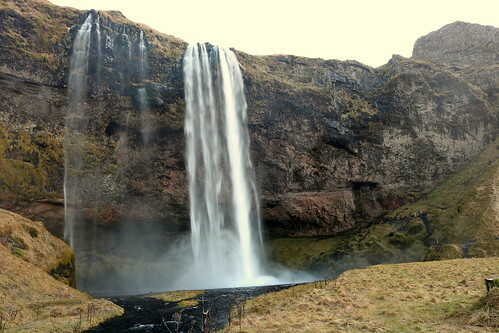 First stop Selijandfoss, it was too icy to walk behind the falls. Make sure to pay for parking! Drove to Vik in the dark. Everything I read online warned against driving in darkness during the winter; it ended up being completely fine, besides for missing the beautiful scenery on the way. Stayed the night at the Puffin Hostel, which was cheapest accommodations we could find at $108 (in the low season!) We had booked the “upgraded” room that was supposed to have two twin beds side by side; instead we got one bed in one room, and the other bed was in an almost completely separate room/alcove. Bathrooms were shared, and on a completely separate floor. Do not recommend this place at all, and wish I had booked two nights at our next night’s hotel. After supper and a nap, got geared up to go northern lights hunting. 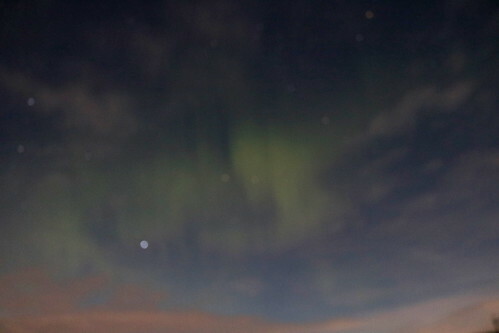 Vedur.is has an aurora forecast, and that night had a kp of 3, with most of the area covered in clouds. We noticed that the towards the west (where we just came from) there seemed to be less cloud cover, so we decided to drive back towards Reykjavik. After driving for close to two hours with no break in the clouds, we decided to turn back. Randomly we would pull over, point our camera at small patches of clear skies and take pictures. And eventually our efforts paid off with some green, that looked like wispy clouds to the naked eye. 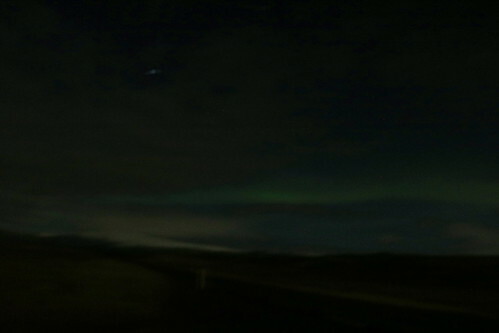 Unfortunately we did not take the time to become expert aurora photographers, and our pictures came out kind of blurry. Here is a sample, all I care about is the green! Want to add that everywhere online people talk about how short the days are during the winter. And officially, sunrise was at 10:30 and sunset at 4. But they fail to mention that it starts getting light outside much earlier at around 9:30, and the light stays until closer to 5. 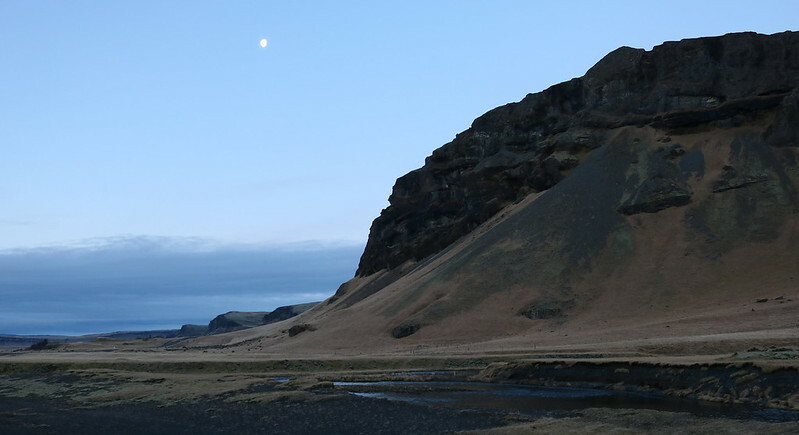 Began our drive towards Jokulsarlon glacier lagoon, and decided to skip Reynisfjara black sand beach to be able to make it to the lagoon as early as possible. Scenery was gorgeous along the way, and we couldn’t help but stop multiple times. 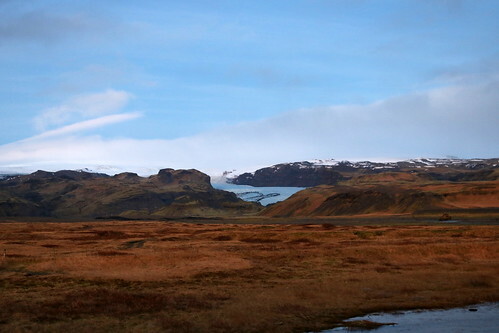 Moss covered lava fields, snow capped mountains with glaciers, waterfalls, the stuff dreams are made of! 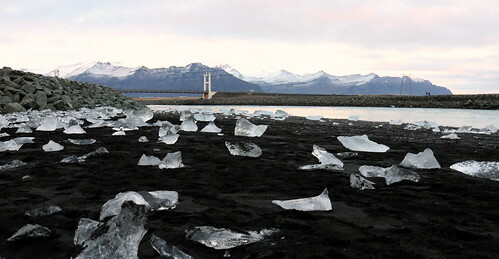 Having been to the New Zealand south island, I much preferred winter in Iceland scenery. 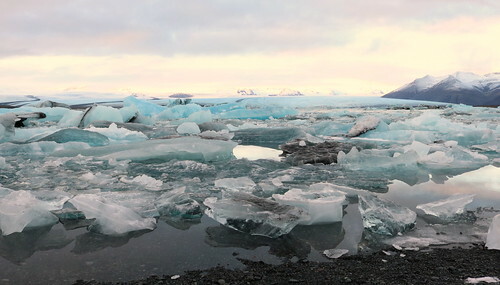 The glacier lagoon was incredible! I wish my pictures would do it justice, it was just so breathtaking. We then went across the street to Diamond beach, also insanely beautiful! We spent so much time here (and stopping on the way) that we didn’t have time to stop at the glaciers on the way back, where once can drive/walk up to the glaciers. We did stop on the way back though to take pictures from the road before it got too dark. You just can't resist when you see scenery like this! Stayed the night in kirkjubæjarklaustur, at Hotel Laki. Although cheaper than the hostel the night before, this hotel exceeded our expectations! Highly recommended. Ate supper, then drove out for more northern lights hunting. Again KP index was 3, with most of the country covered in clouds. We drove out for about an hour, but after seeing nothing gave up and drove back. thanks for sharing keep It coming . Nice TR, thank you,waiting for the rest. Very nice! How many weeks pregnant were you if you don’t mind sharing? First night, we just pulled over randomly in the dark, pointed our camera and shot this pic. 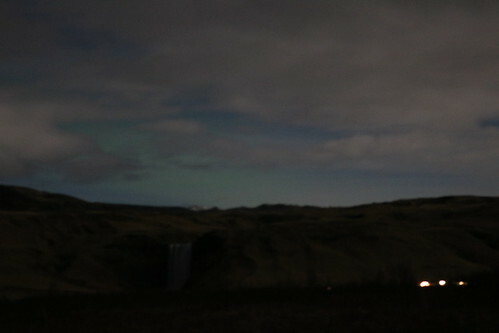 Didn't realize until now that Skogafoss is in the picture along with some aurora! 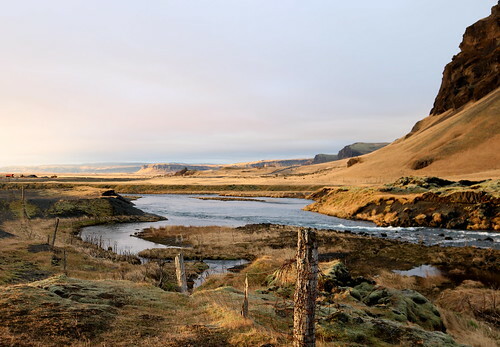 When planning such a short Iceland itinerary, it didn’t seem likely that we would have time to see the south coast and the golden circle. I was ok with this as I had seen geysers in Yellowstone (although geysers are named after this one), and I knew we would be seeing other waterfalls. 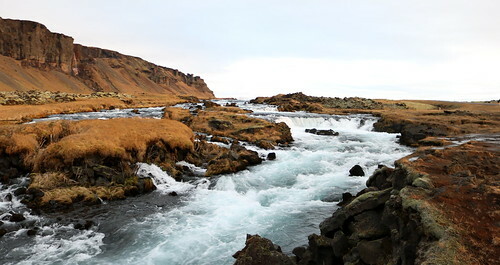 But when I told my husband about the golden circle, he really wanted to try to make it there on our way back to Reykjavik on our last full day in Iceland. It would take us a few hours out of the way, but it would be worth it. 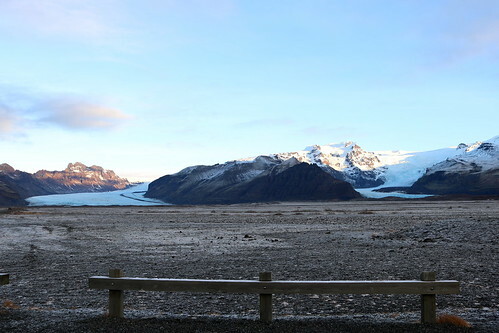 We left the hotel “early” at 9:15, and before driving back towards Reykjavik, drove fourty-five minutes out of the way, back in the direction of the glacier lagoon to see the scenery one last time. 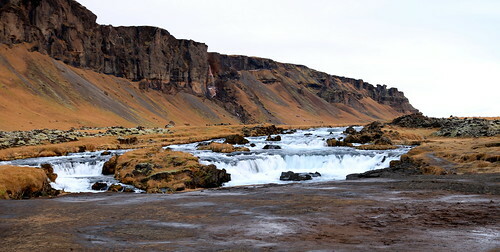 Originally we had planned to stop at the Fjaðrárgljúfur canyon, but since we thought we would be able to drive to Gulfoss on the way, we skipped it due to lack of time. 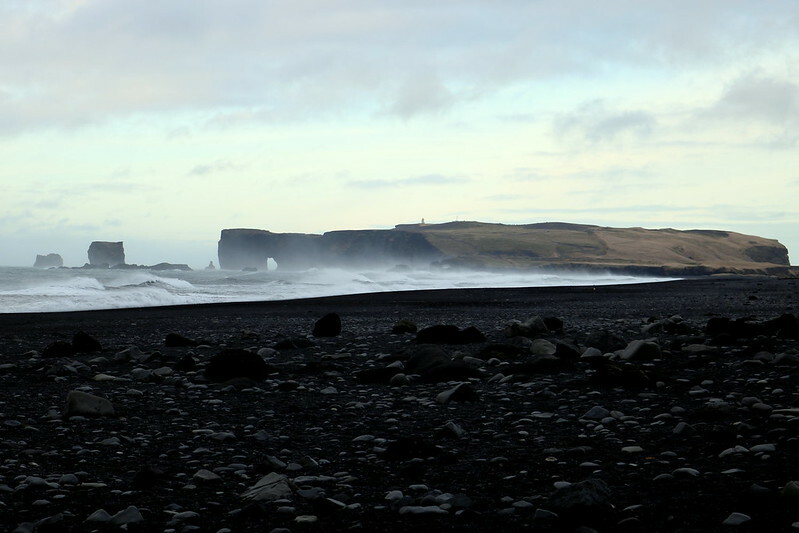 Stopped at Reynifjara black sand beach where the wind was INSANE. It was scary standing on the beach, with the wind pushing us in all directions, and sand hitting our legs and faces. It’s a beautiful beach, but we were too busy bracing ourselves and covering our mouths to enjoy it. Another thing to be careful of at this beach are the "sneaker waves." There have been tourists that drowned because they got too close to the water and were taken by sunrise by a giant wave. 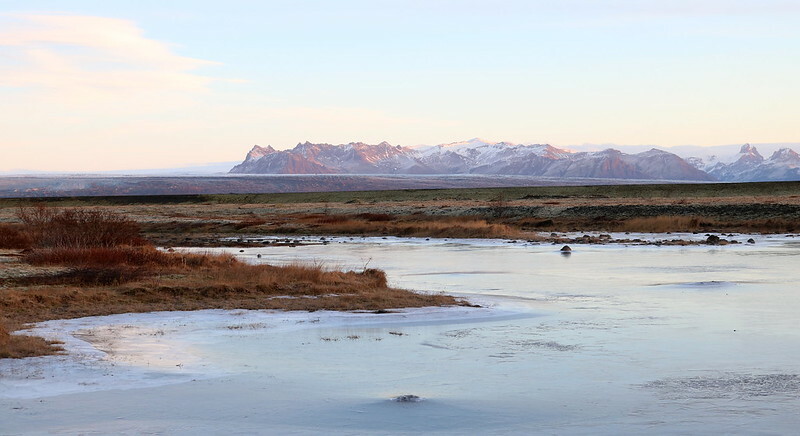 We drove for a while, stopped to take a picture of the keldur turf houses, and began to realize that we would not make it to geysir before 4 (official sunset time). This would leave us with very little light to actually see anything. Also, we were both very exhausted, and would have to do a lot of driving to get back to Reykjavik anyway. 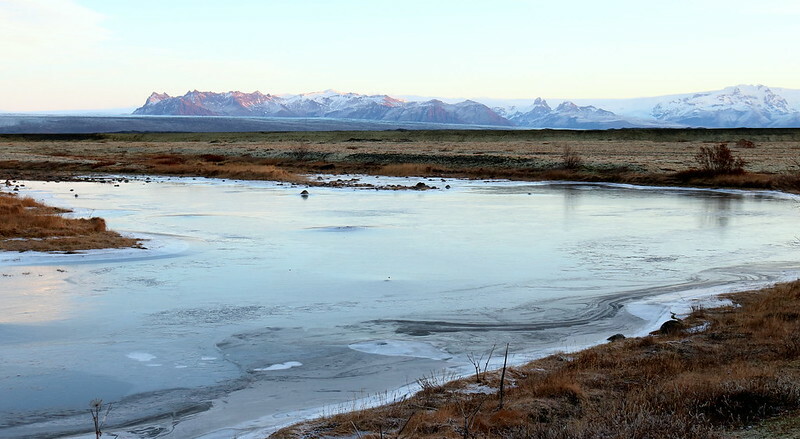 The golden circle would add about three hours to the drive. 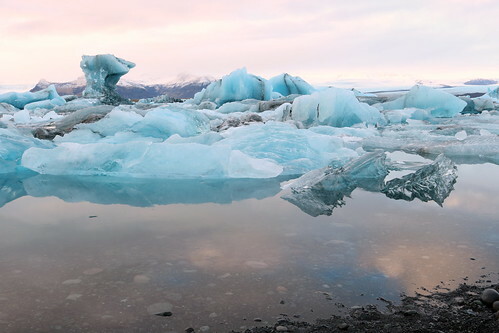 With heavy hearts, we decided to skip it, and definitely plan on one day returning to Iceland to see what all the hype is about. 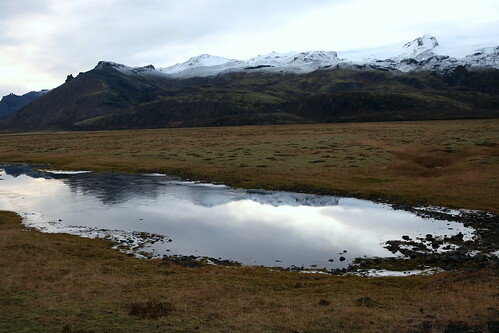 We stopped at skogafoss to take a few more non-misty pictures, and later stopped on the side of the road to take the requisite Icelandic horses pictures. 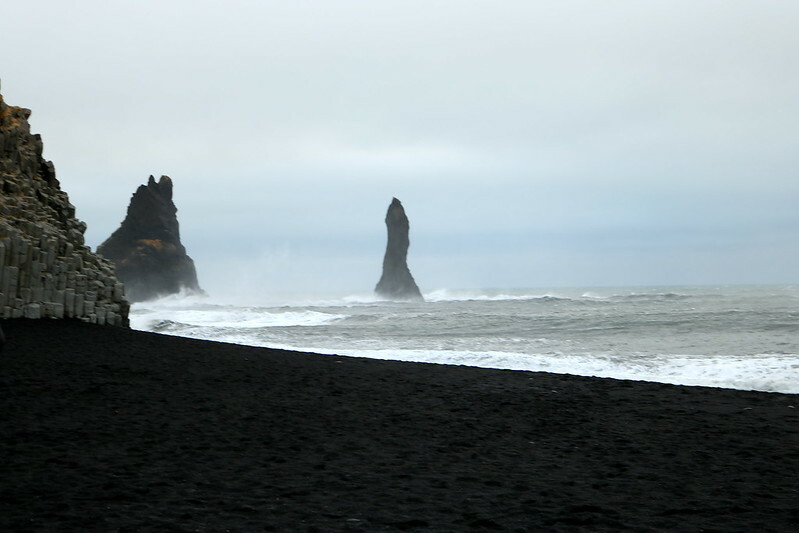 It started to get really dark and wet just as we got closer to Reykjavik, and our exhausted selves were so glad that we for once in our lives were realistic and skipped something we had planned on seeing. 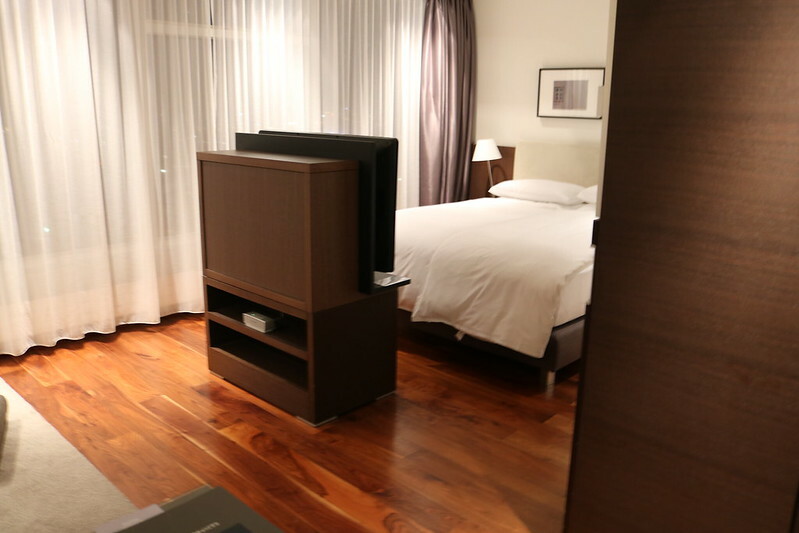 Stayed the night at the Hilton Nordica Reykjavik. It was interesting that when booking the hotel, I noticed that sometimes when I checked the points amount would be much higher than other times. So I booked incognito, and “paid” 44k Hilton points for a standard queen room instead of what I had originally booked for around 57k points. Note: Make sure when booking a room in this hotel that you choose the double occupancy option, otherwise you’ll book into a room with a single bed. I had noted on the reservation that this trip was a babymoon/honeymoon (it’s always a honeymoon lol), so when checking in they made sure to congratulate us-for a second we both looked at each other with a “huh” face. 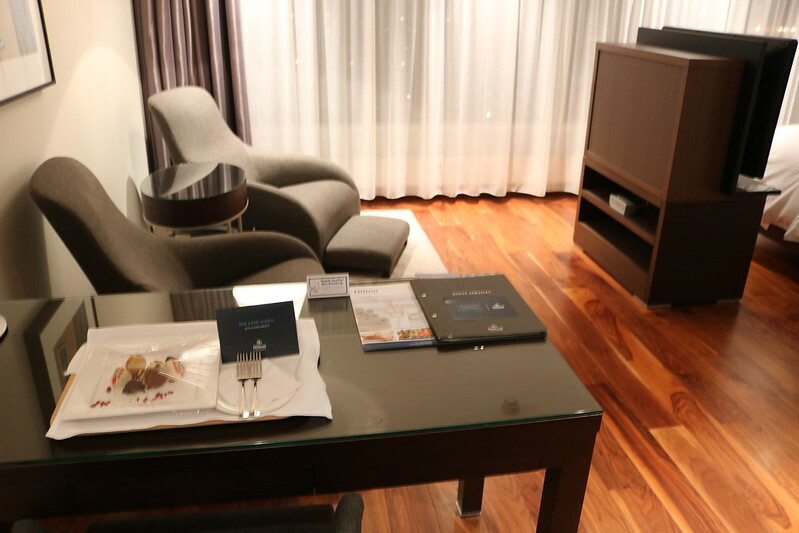 Then quickly remembered…They had upgraded us to a queen executive room, and left really nice looking macaroons. 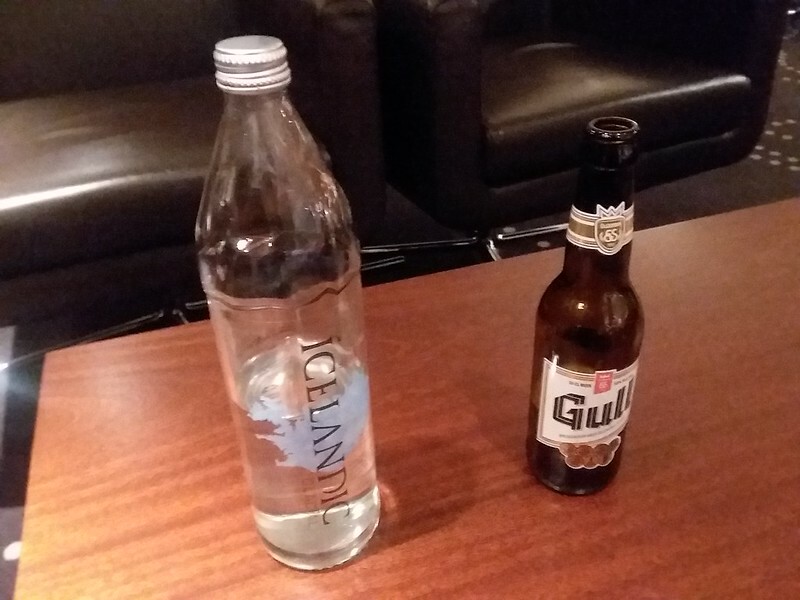 We had access to the executive lounge, which had an extensive spread, most of which was not kosher. Pretty sure all we were able to have were some drinks, coffee, and fruit, but it was nice to relax there nonetheless. After a quick supper, we decided to try one last time to see the northern lights. The past two nights, thinglivir national park (in the golden circle) was where there was little to no cloud cover. 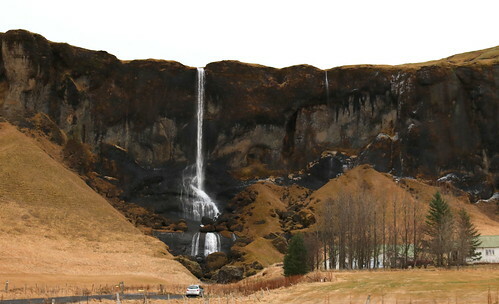 We drove about half an hour out of Reykjavik, stopping randomly on the side of the road to take pictures. It was much colder than the other two nights, and the clouds were pretty thick. 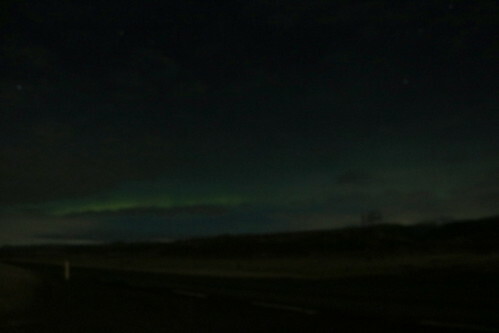 We drove around, and eventually happened upon a northern lights tour group that was waiting for the sky to clear. We waited with them for a little while, but it was getting very late, and we would have an early wake up the next morning. Seeing nothing that night again, we drove back to Reykjavik. The next morning we had to wake up early for our 11:30 easyjet flight to Amsterdam. 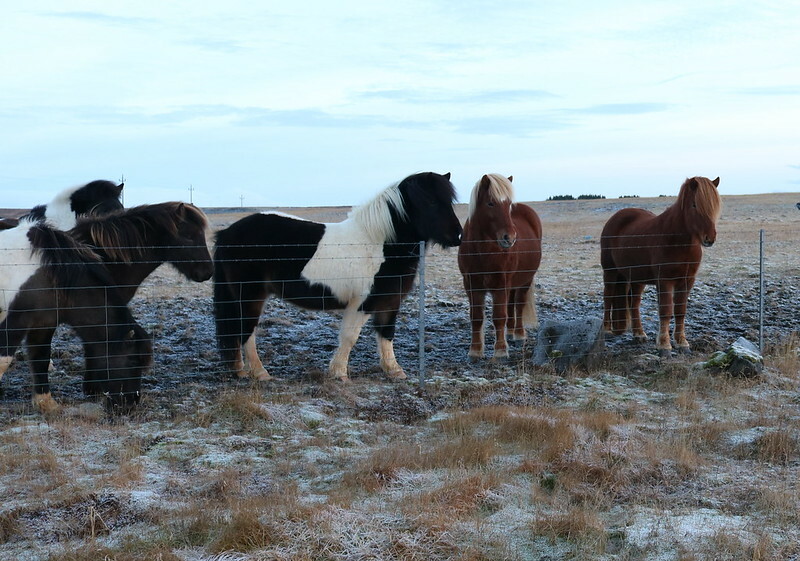 We wanted to check out the breakfast, and needed to factor in the hour drive from Reykjavik to KEF. There was not much kosher at the breakfast in the restaurant, so we packed up and headed out. On the way, we stopped at a gas station to see if they had the free car cleaning facilities I had heard about. We had to look a bit, but found these really cool water brooms that we used to clean our (originally white) really dirty rental. I don’t think this was necessary in the end, but we wanted to make sure we wouldn’t get charged. Dropping off the car was easy, and then instead of waiting for the shuttle, we just walked across the parking lot to departures. Our flight to Amsterdam had a four hour stopover in Luton airport, where they made us claim our baggage and then recheck in. The funny part is that the very young looking easyjet checkin agent heard me mention I was pregnant, and started looking in her books; I guess to look up protocol. Finally she got up the gumption to ask me how far along I was. She was the only one out of all of our flights that made any mention of this. On both flights we were able to sit in the exit row, actually we were ASKED to sit in the exit row as nobody had paid extra to sit there and our assigned seats were the row ahead. We arrived in Amsterdam at 8pm, and tried to find out how to get to the Hyatt Regency. 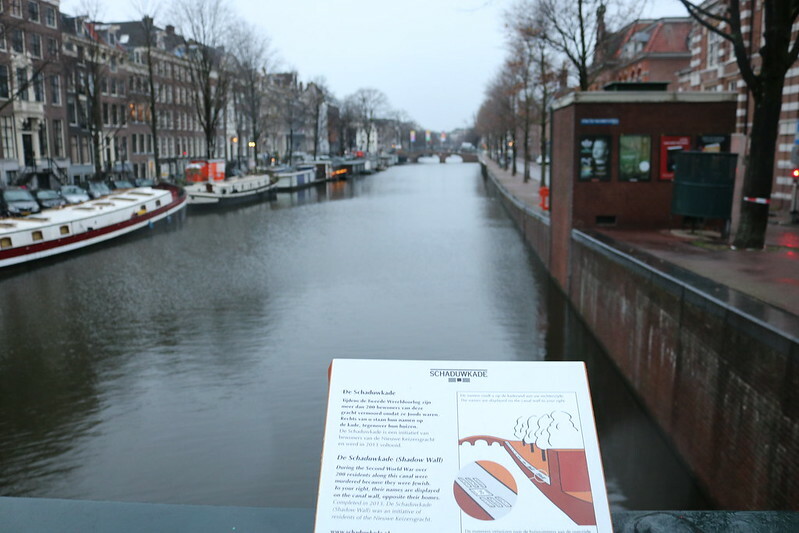 It was a little complicated; we took the train from the airport to centraal station, and then had to figure out how to get to the metro station. This took some time and some wandering around with our suitcases (and it was rainy!) but finally we figured out how to get there. 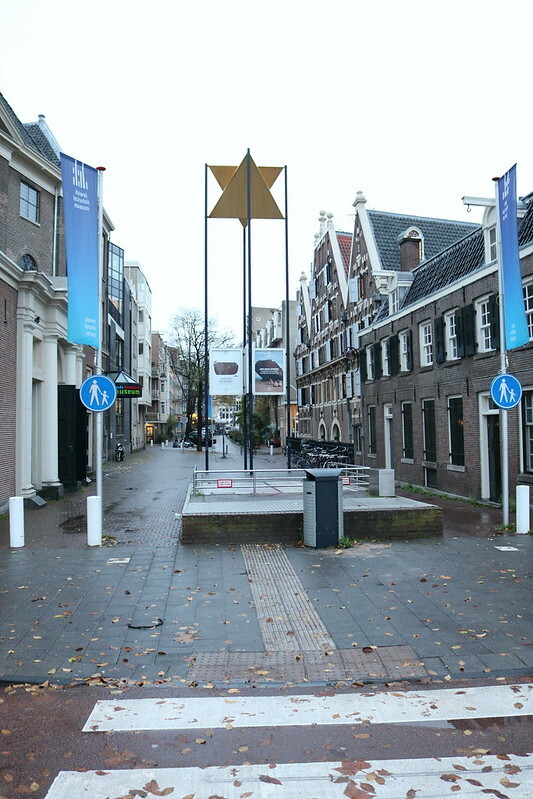 Several of the Ms will get you to Weesperplein, after which we had to figure out how to walk to the hotel. Our data wasn’t working, and the offline maps we had downloaded as a just in case were not working as well. Some nice American expat saw us looking confused tried to point us in the right direction, but she had no idea where the hotel was. I knew we just had to walk down the road a bit, but did not know in which direction. We decided to randomly pick a direction, and ended up being right. At this point, it took us about two hours to get from the airport to the hotel. 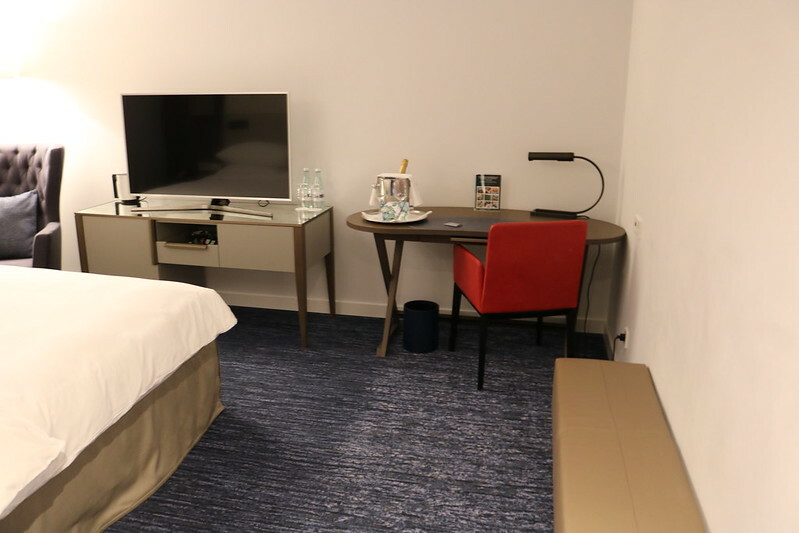 I had used my hyatt category 1-4 anniversary night for this hotel, which ended up being very nice (and they too celebrated our babymoon/honeymoon with a bottle of nonkosher wine) The nicest part of the room was the bathroom, which had a separate toilet and double shower. Location seemed to be very convenient as well, although I can’t comment on its distance to the kosher restaurants as by the time we got there everything was closed. Another attempt at an early night as we were planning on trying to wake up very early the next day to sightsee a little before our 11:40 AM flight to Israel. We woke up early, quickly packed up, and decided to walk towards the Portuguese synagogue and the canals. It was rainy/misty, but that just gave an ethereal look to the city. 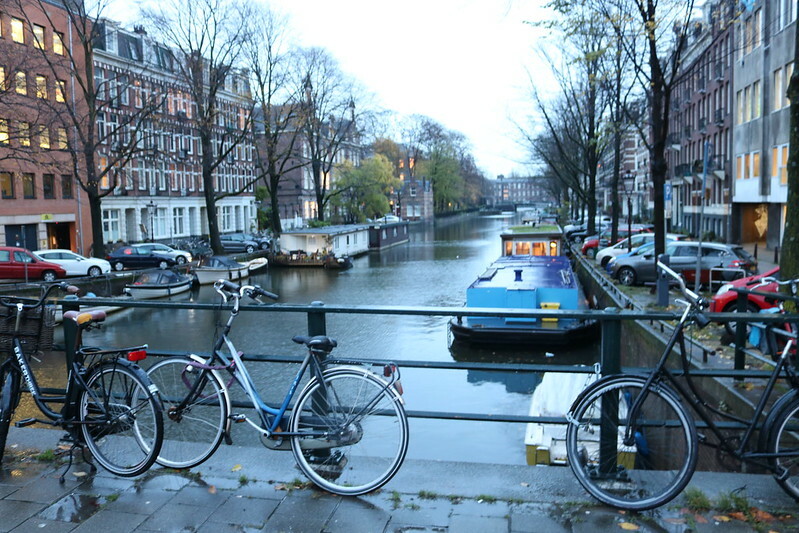 Although I don’t like cities much, I much preferred Amsterdam to London. I don’t know what it is about the city, but people there seemed much more friendly and happy, and there is a certain charm about the place. After an hour walk around the area, we made it back to the hotel just in time to see the bicycle commute. 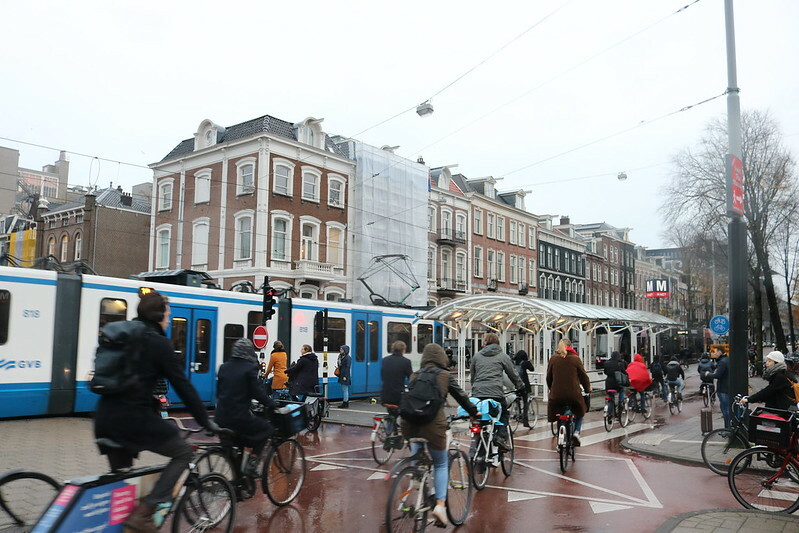 We retraced our steps back to the airport via public transportation, and again had a little trouble making our way from the metro station at Amsterdam Centraal to the train station. Again, found it with the help of a very friendly local.